I was tagged by Hannah from The Book Thief Without Words for the Liebster Award, so thank you, Hannah! I just looked it up and apparently, Liebster means dearest in German which is cute. And also very fitting for today. Are you a writer? If so what’s your current project? I am currently preparing for camp NaNoWriMo in April, about which you can find all you want to know on my blog. This is impossible to choose! Even my top-20-playlist has well over 20 songs on it, I just can’t decide! Let me just randomly pick one: All Time Low by Jon Bellion. I let Spotify decide but it’s actually one of my favourites at this moment! It’s also a little different from the music I usually listen to but I can’t help but love it. I like a lot of vegetables, carrots maybe? What is one trope you love and one trope you hate? I love it when characters that dislike each other at first become friends (lovers is okay too). I hate love triangles and especially instalove. What are your hobbies asides reading? Writing, photography, watching tv-series, teaching myself random stuff (right now I am learning all about astronomy and I love it!). What’s your favourite underrated book? What is a book that you don’t think deserves the hype? A Court of Thorns and Roses by Sarah J. Maas and also I’ll Give You The Sun by Jandy Nelson. One thing you’d like to see more of in books? Diverse characters with realistic flaws and of course ace characters! We need more of them! I’m really behind on all the tags and awards, so I’m not going to do all of them (forgive me), but I’m going to do some now and maybe a few in the future. I was tagged by Tanya from Scribbled Dreams for the Blogger Tag, so thank you Tanya! I was also nominated for the Real Neat Blog Award by Abi from Happily Abi, which is real neat 😛 Thanks Abi! Go check out their blogs because they’re both amazing bloggers and you should have them in your life. Tanya writes amazing stories, she’s so talented! 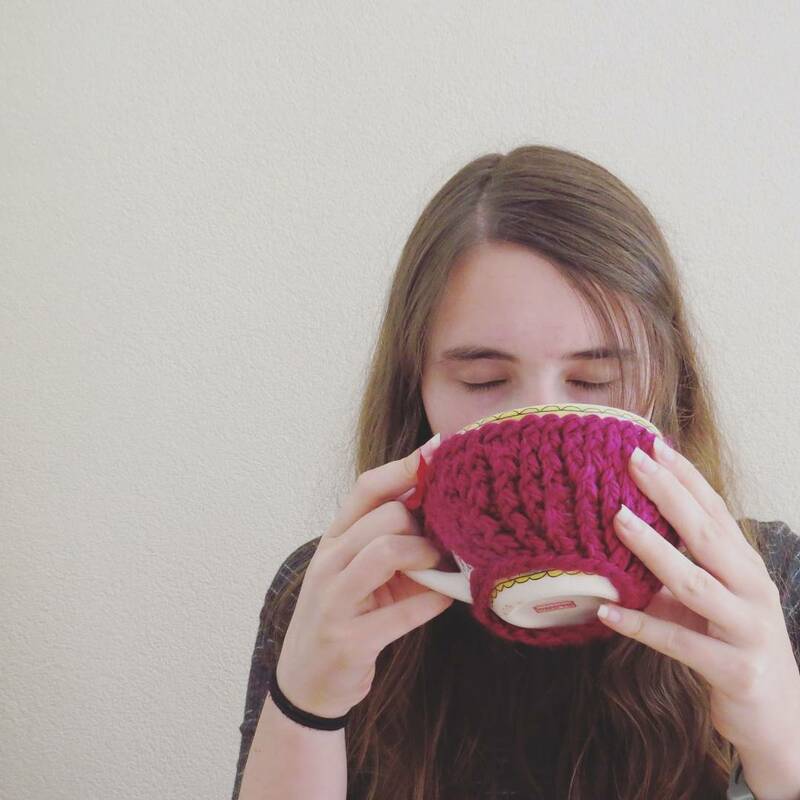 Abi writes very inspirational posts AND she just started a youtube channel (isn’t that awesome!). Question 2: Do you have a hidden talent? Binge watching series, no that’s not really hidden. Uhm, knitting then. No offense to anyone, but sometimes I get messages and I really don’t know how to respond and that is so annoying. That’s probably more my fault then theirs though. Question 4: What’s your biggest non-related blog pet peeve? Rudeness. I can’t stand it, even if you’re right, DON’T BE RUDE. Question 5: What’s your favourite song? HOW CAN YOU ASK ME THIS?! It’s even worse than asking for my favourite book. I guess, maybe, One Day by Kodaline? Question 7: What’s your favourite way to spend your time when you’re alone? Reading, blogging, watching tv shows. Question 8: Whats your favourite junk food? Question 9: Do you have a pet or pet(s)? If so, what kind and what are their names? I think they’re more my parents pets than mine, but they’re still a little bit mine. We’ve got a dog named Indy (from Indiana Jones), a cat named Puck (hah I came up with that one) and three goldfishes named Oskar, Renzo and Ariel (also names I came up with, with Oskar being of course my favourite book character ever). Question 10: What are your number one favourite non-fiction and fiction books? Non-fiction: I really don’t know, I don’t read that much non-fiction, but I guess The Librarian of Auschwitz by Antonio Ithurbe broke my heart so I’m going to go with that one. Question 11: What’s your favourite beauty product or tool? … A brush? Shampoo? No wait, hair conditioner. Those are basically all the products I use.. I had a presentation and I kinda failed to say the word “multidisciplinary”. And thinking back, I really hate the person that put that word on the slide. It’s impossible to say when there are like 50 people staring at you! Question 13: If you could only drink one beverage (besides water) for the rest of your life what would it be? Question 15: What was your favorite lesson at school? Maths I guess, I was quite good at maths. I don’t know where, but somewhere in a city, perhaps abroad, in my own apartment. I really don’t know where though. Question 20: What blogger do you secretly want to be best friends with? Question 21: Who is your biggest inspiration? Question 22: What is your favorite blog to read? I can’t choose one, but I most definitely have a preference for some blogs over others. Usually the blogs by people I know better, I like better. Question 23: What is your favorite high street shop? What’s a high street shop? Is there also a thing called low street shops? Question 24: Are you in education or do you work? I’m a third year student. Question 25: One thing you are proud of? Getting to my third year in university without ever failing any class. I’ve got three but I’ll just pick one, The Imitation Game. It makes me angry and sad and happy and above all it makes me think. And of course Benedict Cumberbatch has the main part, so that’s a huge plus. What are the first five things that come to your mind right now? Cookies, snow, homework, blogging, pink. What is something (or someone) that makes you happy? Books of course, but a lot of small things can make me happy. What also makes me happy is when I accomplish something I didn’t think I could do! What is one thing that you learned about yourself last year? I think I learned more about my sexuality and “how I work”, if that makes sense. Name one good thing that happened today. How do you spend your long weekends? Fill in the blank: I always ____. Procrastinate? Look at the stars? Create? Read? Breathe? Thank you for reading and have a wonderful evening! Btw, does anyone watch Wayward Pines? I just started and damn this is awesome (and freaky and scary)! I was nominated for two awards! So I’m just going to do them both in one post. Enjoy! I was nominated for the entertainment blogger award by Jamie from Book Pandamonium, so thanks a lot! We haven’t talked a lot yet, but I would love to get to know her better! – Thank the person who nominated you and link to their blog. – Add these rules to your post. – Answer all the questions below. – Display the award picture in your post. – Nominate 12 bloggers who are funny, inspiring and entertaining. The short story is that I was bored and wanted a place to talk about books. Extremely Loud and Incredibly Close is hands down the best book I’ve ever read. Rudeness and people being mean (especially if they are doing it specifically to hurt a person). What is your favourite food item at the mall? I never get food at the mall? We don’t really have food places at the mall. Some coffee bars and such but nothing fancy. Reading, blogging, writing, watching tv series, don’t make me choose! I’m currently in a love-hate relationship with Friends, but I keep watching. I have procrastinated doing part of my homework the entire winter break, but now I really need to do it and I don’t want to. Except for the fact that I need to catch up on homework before going to school, I quite look forward to going back to uni (this might have something to do with the fact that I can go back to my dorm and see my friends again). 1. What do you think about when you look at the stars? I love staring at the stars! When I look at the stars, usually I think about how incredibly big the universe is and how incredibly special it is that we humans are alive. I also think about the possibility of how somewhere in the universe there is someone or something looking at those same stars and thinking the same thing. 2. What person in your life lead you along the reading path and inspired you to read books? I think I did that myself. I don’t really have someone in my life that urged me to read books. Although my parents always went to the library with me so, that might have helped. 3. What is your favorite part of being a blogger? What kind of posts do you love to write the most? What I love most is reading other people’s comments, especially when I wrote a very personal post. My favourite post to write… I really don’t know, but I think it will be the posts for my new project! 4. If you could say anything to yourself when you were 8 years old, what would you say? What advice would you give? It’s going to be better. You’ll get through this. 5. If you could transform into any creature you wanted to mythic, animal, or your own unique creature, which would it be and why? Could I change back and forth? Because then I would love to be able to turn into some kind of bird. I’m not going to include a link to my best post, because I simply don’t know what my favourite/best post is. 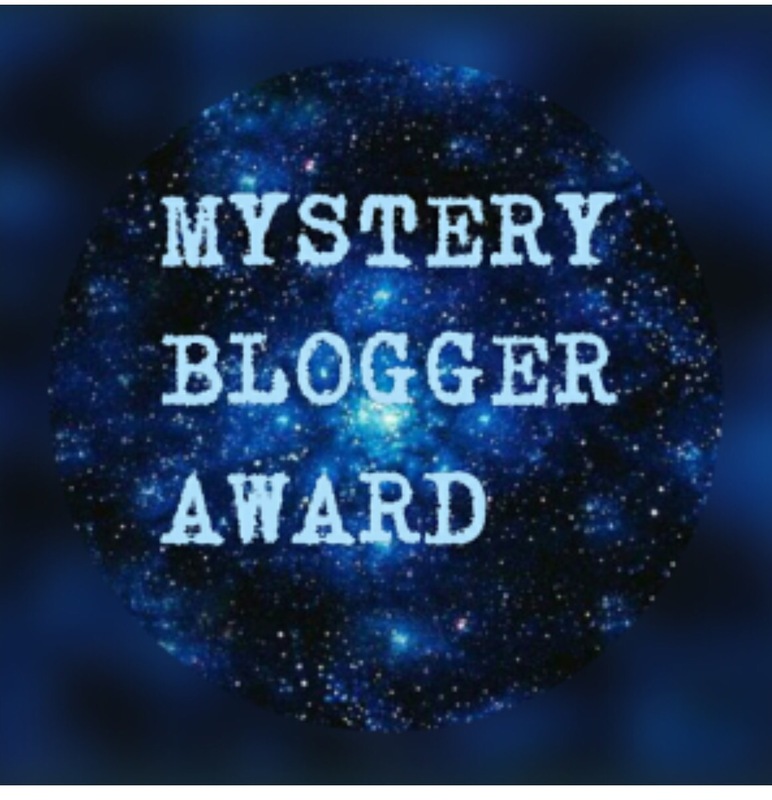 I was nominated by Sarah from Little Reader for the Mystery Blogger Award! Thank you Sarah! Mention the creator of the award and provide a link to their blog as well. –> I don’t know who this is sorry. I used to keep an excel file of all the books I own and keep track of which I read and which I didn’t but I’ve lost track. I love that little swirly thing at the bottom of the Q, especially when it makes a wave, like in the Red Queen title on the cover. I’m really bad at thinking of facts about me at this moment. What’s your favourite winter drink? I always go with my family to Amsterdam for a few days to visit museums and do shopping and visit the light festival. And then we would celebrate my grandpa’s birthday and Christmas eve together, and then we would go home on Christmas morning. That’s so lovely! Sadly we’re not going this year. In books or in real life? In books, I think it is mean characters, or just really bland characters. In real life, it is people who don’t wait for other people to get out of the train before they go in. It’s just so rude! What is something you’re really passionate about? Your boys are The Vampire Diary boys: Damon Salvatore, Jeremy Gilbert, Stefan Salvatore and Tyler Lockwood. l.t.r. Damon, Jeremy, Stefan, Tyler. I’m just going to be very superficial and judge them based on their looks because I have never watched The Vampire Diaries nor have I read the books (Are these the names of the actors or the characters?) Also I’m assuming that the names and pictures are in the same order. Stefan gets to burn, because he looks like the type of boy that seduces you with cute puppies and then replaces you by a prettier girl (and doesn’t let you keep the puppies!). Damon gets to jump out of the window, because he looks like a supermodel who feels too good for you (and also too good for a new haircut). Tyler gets to walk out of the door, because he seems like a nice person. Jeremy doesn’t get my bed! Oh wait there’s a fire, so we’re sleeping next door? Why are all these guys in my house during a fire? Anyway, he can sleep on the couch. He’s cute, but he also looks like he was supposed to be cast in Teen Wolf but he didn’t get the part, so he took the next part he could think of. Thank you for reading and what would you have picked at that last question? Did I do a good job letting Stefan burn and Damon jump? Blogging Tips To Get Started + Blogger Recognition Award! I was nominated by Ava from Reads, Rhythms and Ruminations for the Blogger Recognition award! Thank you so much Ava! I was planning to write some tips for beginning bloggers or just bloggers in general, so I thought why not combine them? Also you should all check out Ava’s blog, she writes about anime and books, and she is a super lovely person! Select up to 15 other blogs you want to give the award to. There was a girl, and that girl was bored. She didn’t want to go outside, because it was way too hot, and therefore sat behind her laptop scrolling through tumblr and watching booktube videos. The girl wanted to share her love for books, but knew no other way than by talking to a camera and putting it online. However the girl was too shy to share herself in that way, so she sought for another way to share her love. After thinking about it for a while she discovered wordpress, wrote her first post and bam! there it was: a little piece of magic called a blog. In the beginning she just wrote reviews, later letters to her beloved characters, but then she discovered the amazing community of wonderful bookish and writerish princes and princesses, and she fell in love with every single one of them. The bookish community had become her home, and her blog her secret double life. Write about the things you love. If you don’t enjoy writing the post, other people will most likely not enjoy reading it a lot. Also you will probably lose interest quickly. 1) tags and awards, these are fun and easy to do because you usually only have to answer questions. For these it is important to tag people. The best way to do that is link one of their post to yours. You do this by going to their blog, copying a link from a recent post and adding it in your post. This way they will get notified and they will know that they are tagged. 2) Memes, these are weekly/monthly returning posts, which can vary from top 10’s with specific themes, to discussing covers of books. These are fun to do because you can do them every week/month and others do those too so you can share and discuss with them. 3) Discussions, in these posts you can basically discuss whatever you think is interesting. 4) Reviews, these are quite important for most book bloggers. Some bloggers get ARCs in exchange for reviews, but you really shouldn’t start blogging because of the ARCs. I recently discovered NetGalley which provides you with eARCs. 5) Every other random thing you want to do. You can talk about anything on your blog so if you want to talk about your life/school/music taste/favourite movie/etc, go ahead. Gaining followers is not easy. Don’t expect to have a lot of followers in the first few weeks/months. But if you persevere and keep having fun and interesting content, the followers will come eventually. What is most important is engaging with them! Forget about the numbers. Blogging should be something you do for fun and for yourself, so don’t worry too much about page-views and stats. Twitter is really great for bloggers, you can connect really easily to people and engaging in chats really helps you to expand your contacts. Another thing that can help is to have a nice layout on your blog, if it looks sloppy and impossible to read, people will visit your blog less. What is your best tip on blogging? Sorry not nominating anyone because I really should get back to writing my story for Short Story Society! Has anyone seen my inspiration? I think I lost it. I was nominated twice for the Black Cat Blue Sea Award! Once by Klara from Ribbon Reviews and once by Azia from The Uncharted World. Thank you both so much, it means a lot! I’m really curious to why it is called the Black Cat Blue Sea Award! The nominee answers three questions posed by the nominator. The questions you ask while nominating can be any three questions. How much time do you invest in your blog per week? I think about an hour a day (so 7 hours a week), but I’m not sure because I’m not keeping track. Do/ did you ever have a fictional crush? If so, who was it? Not really but if I’d have to pick, it would be Sam from The Wolves of Mercy Falls series by Maggie Stiefvater. Would you like to be a full-time blogger (who actually earns money with their blog) ? Why and when did you begin blogging? I started blogging because I was bored and wanted someplace to fangirl over books. I started last summer, I’ve been blogging for 4 months! Are there any books/places you re-read/revisit for a special occasion or season (i.e. winter/the holidays)? Do you have more fun ranting about a book or raving about it in your reviews? Raving! I always feel a bit bad about talking negative about a book because someone took so much work in writing it! Have you ever considered stopping blogging? And why? I was nominated for the Mystery Blogger Award by Maya from Book Dragon 1017, thank you Maya! Check out her blog because she’s a lovely bookish blogger! This award is created by Okoto Enigma. Wait they don’t even tell you to answer the questions?? Why would you ask questions and then not answer them.. hmm weird. I’ve been listening to Sleeping at Last’s Christmas album all day and I’m in a very Christmassy mood. Do you know Sleeping at Last? It reminds me so much of Kodaline and I love it! I still haven’t obtained my drivers license, but I hope I’ll be able to soon! I have always considered myself to be a very organized person, but guess what? I am not. Everything is always a mess and I forget to do everything and I am always late with these tags and things like that. Okay you know that feeling when you’re getting interrupted or talked over in a conversation? I hate it. And then there’s this angel type of person that looks at you and gives you their undivided attention. THOSE PEOPLE ARE AMAZING. Who do you feel most comfortable fanboy/girling with the most? The internet. That isn’t a real answer isn’t it? I feel most comfortable fangirling on my blog and in the comment section of other people’s blogs. I don’t know I don’t dream of achieving impossible things I guess. I am so bad at setting goals for myself, I’ve been putting off doing the “This Time Next Year” tag by Sarah (sorry Sarah! ), simply because I have no clue what my goals are. I just make things up as I go, I don’t plan ahead (especially not that far). Sleeping. Is that a weird skill? I just want to be able to fall asleep when I want to. I’m so jealous of those people who are able to fall asleep within 5 minutes, it takes me like 45! Weirder than bananas: What was the most violent thought that crossed your mind? Seriously I am supposed to choose? I can’t okay I just can’t. What do you think is my best post? What’s your favourite holidays tradition? Are you a planner or a “I make it up as I go” type of person? Mittens or gloves to warm up your cold hands? Thanks for reading and see you next time! Also, what is the favourite post you’ve ever written?